Time Travlers & Bonfires marks the tenth studio album from mega metal band Sevendust who began their career in 1994 by bassist Vince Horsnby[Bass], Morgan Rose[Drums], and John Connolly[Guitars]. 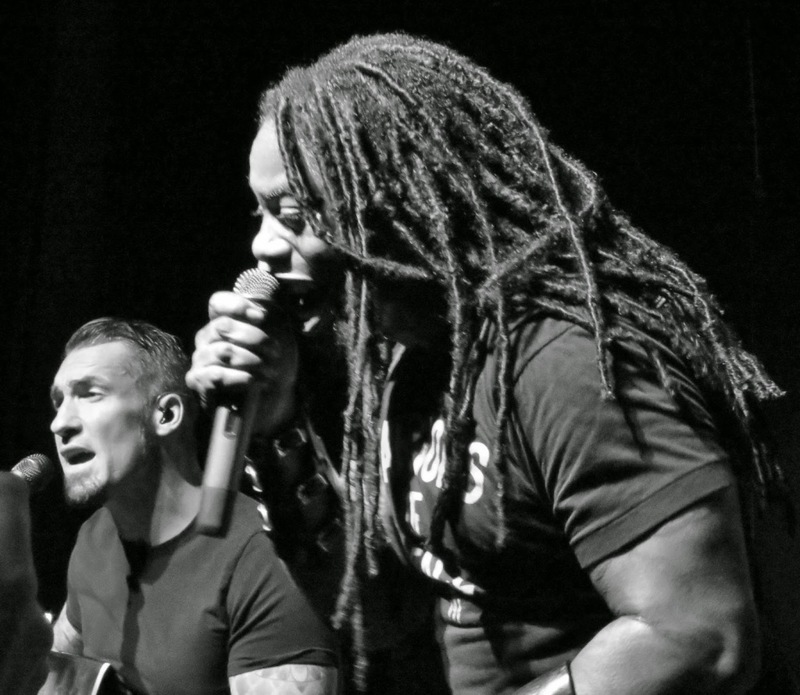 After their first demo, Lajon Witherspoon joined as lead vocalist and not to long after that came lead guitarist Clint Lowery who provided the unique Sevendust sound that is recognized the world over today. A product of a previous acoustic live album, Southside Double-Wide: Acoustic Live, Sevendust much to the fans requests decided to take a shot at making another acoustic album with a more polished studio sound. This effort was released through their own record label 7Bros. Records. Diving right in we hear a compilation of previously unreleased tracks reimagined in the acoustic setting along with a few new tracks as well and even some old school 7D favorites. Some of the older tunes that were re-created are: Denial, Gone, Trust, and Black. All of this adds up to one interesting interpretation on a decade’s body of work. Time Travelers & Bonfires sets out to be more than just an acoustic rendition but a full force reconstructing of songs that is not only held dear by fans, but to the band members themselves. I’m usually the guy that tries to avoid re-releases of any kind as it feels like I am paying for the same tracks I already had just with a bit more studio magic or the lesser polished demo reels. Well, I’m happily surprised in saying I don’t regret getting this album and hearing the songs I loved growing up put to a more raw setting and real atmosphere. Acoustics seem to bring out more of a song than any other instrument. The tones captured on this album by Sevendust prove that the foundation of any song being created is inspiration and an acoustic guitar. Whether that’s a fact most musicians would admit to or not is not relevant to this article. What matters is it happened for this album and it was a much need charge to Sevendust catalogue of heavy hitting songs and aggressive lyrics. The musical attack from Time Travelers & Bonfires is more of a laid back variety. This sets the landscape for an atmosphere of maturity and calmness that you wouldn’t think from taking one look at these guys. Learning from my own experiences as a musician, what you write years ago can look very different now when you consider where you were at when the song was created and where you are at. Quite the polar opposites at times when you think about it. Either way Sevendust kept the spirit of these songs alive and created new ones to keep the pacing consistent and beautiful in a hauntingly metal way. A sense of satisfaction comes from me upon each listen to this album as I personally feel like this is the Sevendust I love now and I don’t so much as turn to the heavier sounds. I’d gladly welcome more albums of this nature in the future. 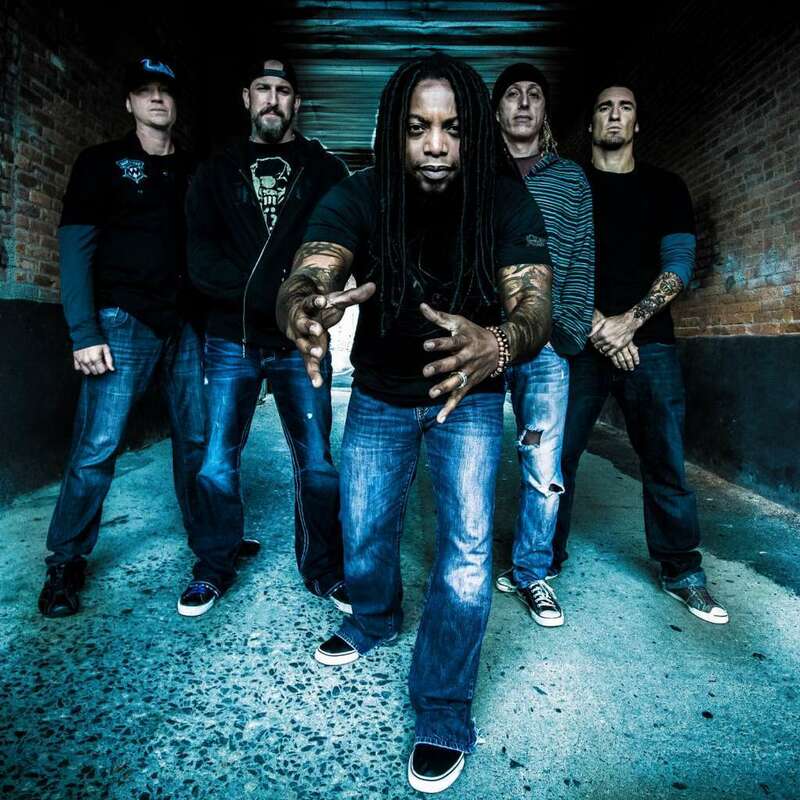 Although Sevendust are set to record a new album this year, Time Travelers & Bonfires is deserving of a listen and longtime fans have already delved into this album with mixed reviews of adoration and disappoint of lack of heavier material. That’s not important to me though. What really matters is the songs are mature and touching and even daring enough closer to the core ideas of their creation than the previously recorded counterparts. Trust – This is an example of a heavy 7D song turned into a beautiful relaxing song that somehow sets your mind free on the thought of how the loss of trust in a friendship or relationship can be bittersweet in the sense that it’s bitter how things had to come to the conclusion they did but sweet in the sense that you are relieved from a tense situation and are able to have a clearer line of thought. Gone – One of my all-time favorite Sevendust songs that conveys the idea of losing someone we love. At the same theme, the words left behind to those who have experienced the loss to remember that person and know that love is left behind to help keep their memory alive. Denial – Possibly one of the bands biggest singles from the late 90s that created a culture of nu metal bands and even crazy visual effects in music videos. This song in acoustic form is very outstanding in the sense of why wasn’t it done before? As the familiar chorus takes on a new light of a more mature perspective you can’t help but fall in love with this band all over again. Black – The single that broke the band out into the mainstream. It’s come back full circle into this reimagining of self-affliction and guilt over past mistakes. This song has always touched on the topic of it was alright as long as I wasn’t hurting anyone line of thought. The reality is if we are saying that out loud we are clearly on a slippery slope. Those are my views and words on the matter of this album. I love it and feel like it’s the mature effort you’d expect from a seasoned band who’s covered many topics since their fruition in 1994 over 20 years ago! That’s quite a long time to hold a band together and continue to write meaningful songs anyone could attach themselves to. 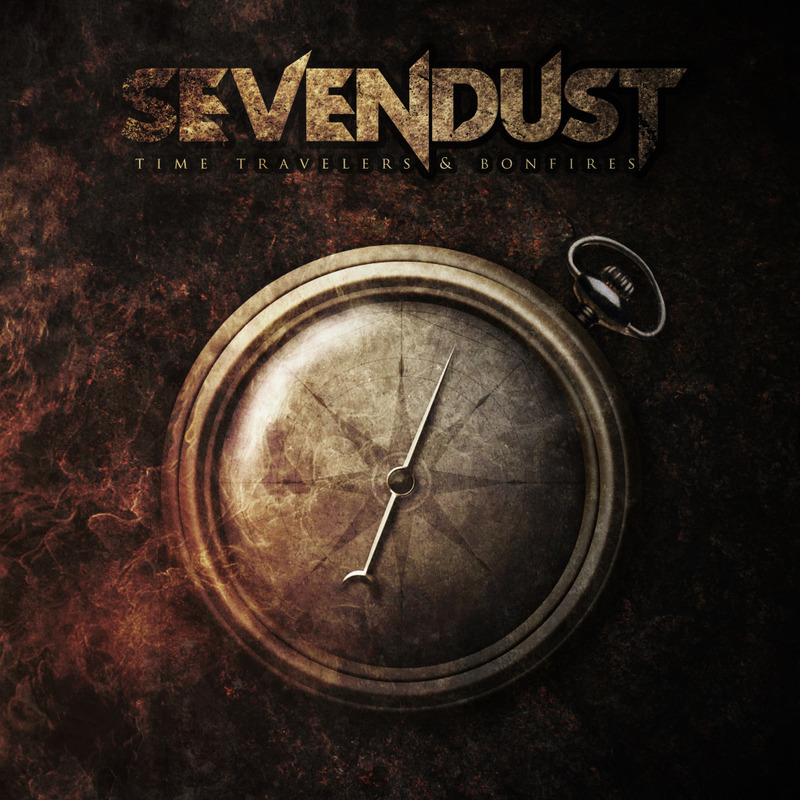 Sevendust – Time Travlers & Bonfires is an amazing effort and an essential album to have in your 7D collection or music collection in general. Take a listen and decide for yourselves what this album can mean to you. Personal Favorite Tracks: Gone, Come Down, Karma, Black, Trust, Denial, One Life, Under It All. acoustic, Bonfire, Contrast, Control, Feature, James, Metal, Review, Rock, Sevendust, Time, Traveler, West. Bookmark.